Despite the government’s move to add 500 million cubic feet of gas per day (mmcfd) to the national gas network, the severe gas crisis that the city dwellers have been experiencing in many areas is unlikely to be resolved soon due to weak distribution network, officials said. The government has planned to add 500 mmcfd gas to the national grid from the current month by importing liquefied natural gas (LNG) from Qatar. The LNG ship has already arrived at Moheshkhali LNG terminal and now awaiting supply to national gas network. But officials at state-owned Titas Gas Transmission and Distribution Company Ltd think that this will have little impact on the current grim situation because of weakness in distribution network. They said addition of more gas would not work to ease the situation until a project is taken to improve distribution line. “Actually, no major project was undertaken in recent years to improve the capacity of the Titas distribution lines because of the government’s policy to discourage the residential use of gas,” said a top official of the company on condition of anonymity. In most areas, he mentioned, the distribution lines have become very incapable to meet the demand of gas the demand of which is growing because of rampant construction of high-rise buildings in and around Dhaka city. “Where there was only one or two families on a piece of land, now more than 10 families are living there after the construction of a high-rise apartment building,” he said. The areas facing gas crisis include Mirpur, Kazipara, Sewrapara, Mohammadpur, Sheymoli, Adabar, Kalayanpur, Nakhalpara, Kathalbagan, Cenrtral Road, Crescent Road, Moghbazar, Molibagh, Badda, Basabo, Old Dhaka, Lalbagh, and Jatrabari. The consumers of these areas experience poor gas flow in most of the time of the day. “We start getting gas after 10 pm and that flow prevails for only three to four hours. Even no adequate pressure is found to cook meals in ovens,” said Salma Begum, a housewife in the city`s Nakhalpara area. The similar experience was shared by Nurjahan Khatun in Kazipara area of Mirpur. She said she has to cook at midnight on most occasions. 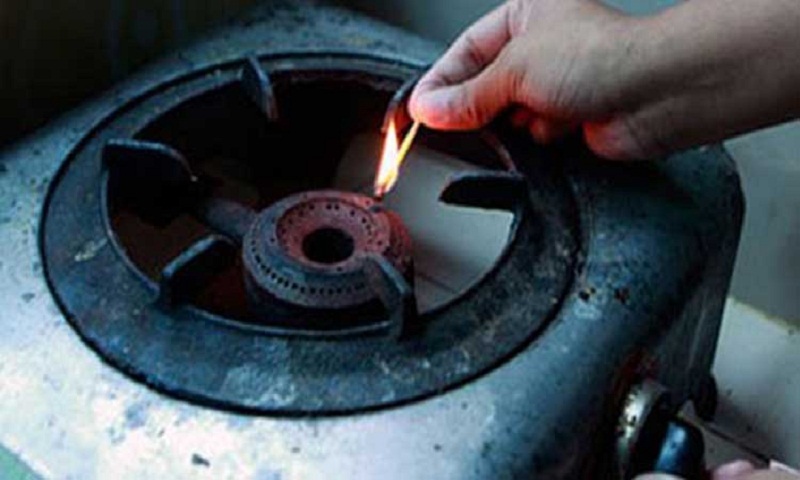 According to official sources, some 30 percent of the Titas consumers in the city have been experiencing the gas shortage for long. However, Syed ManzurIlahi, deputy managing director and also project director of Supply Efficiency Improvement of Titas Gas, said they have constantly making efforts to improve the situation. “Titas is currently implementing a pre-paid gas meter installation project to stop such illegal connections. Once the project is fully implemented, it’ll significantly improve the situation,” he said. But many senior officials who do not want to speak openly believe there will be no end to the ongoing gas crisis unless there is any policy change on the government side. Currently, they said, Titas gas has alone almost 500 mmcfd gas shortage to meet its demand as it is receiving about 1580 mmcfd gas from Petrobangla to serve its 2.734 million consumers. Of these, residential consumers are about 2.717 million while commercial consumers are 10,919 and industrial consumers are 4,610. The officials said Titas Gas needs projects to improve the capacity of its distribution lines across the city and elsewhere. They also mentioned that there are more than 300,000 million illegal gas connections in many areas in and around the Dhaka city. These areas include Keraniganj, Narayanganj, Fatullah, Badda, Merul Badda, Tekpara, Kathalia and Namapara. “But local MPs create obstacles when we move to take action against such illegal gas consumers,” said an official.